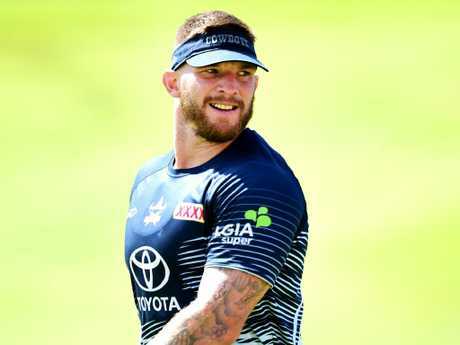 JASON Taumalolo believes he and new recruit Josh McGuire can coexist in North Queensland's all-star forward pack this season despite both players doing their best work in the lock forward role. Taumalolo seemingly has a 10-year mortgage on the No. 13 jersey at the Cowboys after signing a big money long-term deal on the back of his Dally M Medal success in 2016. The Tongan wrecking ball continues to go from strength to strength, running for 179 metres per game over the past three seasons, but McGuire's arrival creates an intriguing puzzle for coach Paul Green. McGuire has been the starting lock for the Broncos, Queensland, and Australia for the past two seasons - averaging 123m at NRL level - although he started his career in the front row. 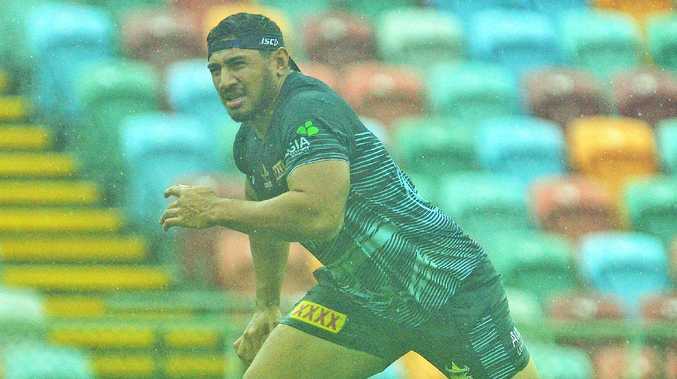 Both players are capable of punching out big minutes through the middle and Taumalolo was confident the Cowboys would only benefit from having both he and McGuire on the field. "Obviously 'Moose' (McGuire) is one of the best locks in the game too," Taumalolo said. "Greeny has a decision to make on how we wants to use me and 'Moose' around the park, but it wouldn't bother me much. "As long as the two of us are on the field I think it's a good sign for the club. "Having the addition of 'Moose' there is pretty big. I think that'll pretty much lock up our forward rotation for the next few years." Taumalolo has become North Queensland's forward leader, but the 25-year-old revealed he won't be putting his hand up for the captaincy this season following Johnathan Thurston's retirement. 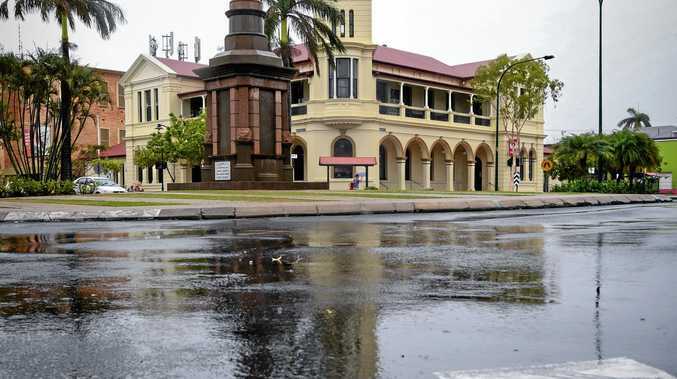 Thurston's co-captain Matt Scott is still at the club while Michael Morgan has also been tipped for the role and Taumalolo said he was happy to focus on lifting the team without the "C" next to his name. "We have great leaders in the club and they've taken us to great places," Taumalolo said. "With 'Morgs' in the mix there and 'Coops' (Gavin Cooper) and Matt Scott bring a lot of experience too. I think that side of things in footy are pretty well locked up. "For me, it's just turning up and trying my best and helping everyone else out to do their roles and just playing footy." The Cowboys have had a longer preseason than they've become accustomed to after missing the finals for the first time since 2010 and Taumalolo has been one of the great beneficiaries. 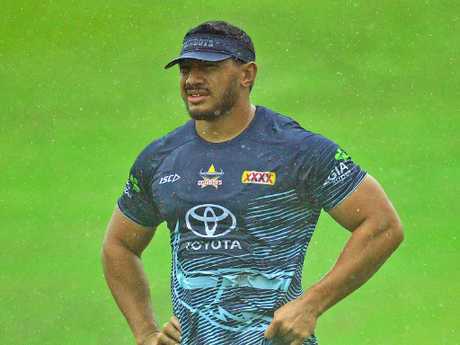 He played just the one Test match for Tonga following the NRL season and Taumalolo said he felt refreshed and ready to help the Cowboys bounce back as a premiership threat. "Last year was definitely one of my worst years playing NRL and obviously the boys would love to make up for that. "I've come back willing to train and I've done a bit of work this off-season and preseason and now I'm looking forward to playing again."